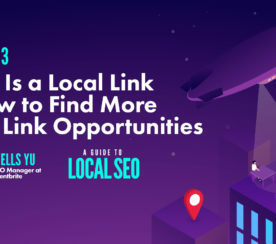 With a more emphasis on social networks than ever before, getting links from the right kind of people and websites has never been more important. The number of Google+ followers, Twitter followers, and Facebook Likes are becoming more and more important in the marketing world, helping to increase both exposure for and trust in your website. The Google Penguin Algorithm update certainly made many a link builder change their ways – moving away from building any ol’ link to building quality links that will help them rank in Google. As well as links that help you rank, as a link builder, I also aim to build links that drive traffic to my personal and client’s websites. So, popular websites related to the clients’ niche are high on my agenda. The rise of social media allows me to locate the owners of the most popular websites. However identifying legitimate accounts can be tricky considering some celebrities have three or four fan accounts on Twitter. Usually, a large number of followers will give you a rough idea of which is the legitimate account, but there are tools out there that will help you find them such as FollowerWonk. FollowerWonk has a number of useful features, and using the free version of the system is perfectly useful for what I am about to show you, with or without connecting your MOZ Pro Dashboard. The FollowerWonk tool we are going to be using for finding out link prospects is the Search Twitter bios. In this example, let’s say my client is in the travel industry – my hypothetical client provides holidays. As a link builder, we check their Analytics, we do our keyword research, the client has their input and by now we know what keywords we want to rank for. Two of those are “Lisbon holiday” and “Lisbon holidays”. These are moderately searched terms with high competition. 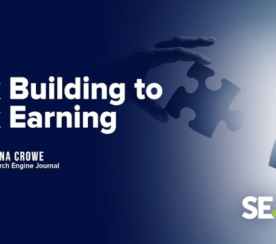 Ranking for these two keywords in the top 3 positions may be an expensive job with no guarantees of big returns. After all, a holiday to Lisbon can be done pretty cheap from the United Kingdom and looking at the Analytics data (hypothetically) provided by the client, it is far from the top of the pile when we order the data by Average Value. But we’ve signed a contract with the client to sell holidays to Lisbon – there’s no going back. What type of blogs do we want our Lisbon holidays to be advertised on? What websites would we want our links on to improve our link building profile, traffic and potentially brand exposure? 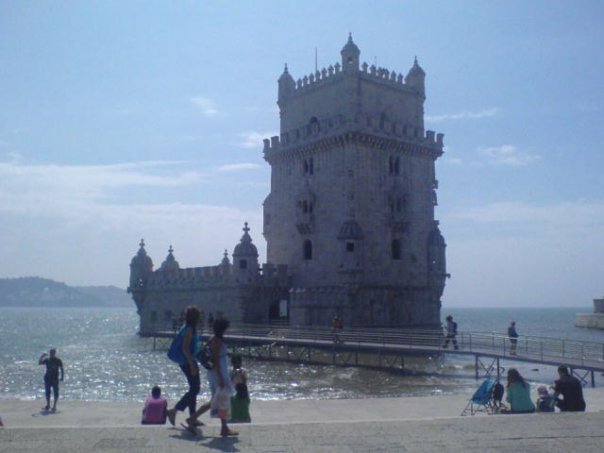 Holiday/travel blogs, maybe Portugal and Lisbon-specific blogs – that kind of thing. So I search for these in FollowerWonk; “holiday blogger”, “travel blog”, “Portugal blog” , and so forth. For each one of those searches I have made, I click the download button. Once I am happy with all the searches and downloads I’ve made I’ll open all of the spreadsheets and merge them into one. Order by number of Tweets – remove any with 0. Order by Last tweet – remove any that have not Tweeted for more than a few weeks. Filter by URL where cells contain (blank)’s – delete these, they’re no use without a website. In this example, people all over the world can go on holiday to Lisbon. If you are selling a product or service only available in certain locations, then you may wish to sort and/or filter the spreadsheet by specific locations to help you eliminate specific countries and cities. This can be a long-winded task, but is worth the work to get the best links. Similar to searching for Google or directories or wherever you go to find your link prospects, the above screen shot shows a few thousands rows (we have ordered these by their number of followers) to work our way through, determining which ones are the most appropriate to contact. There is still a lot of junk in here, but it takes us a few seconds to work out from their bio if they are worth pursuing or deleting. 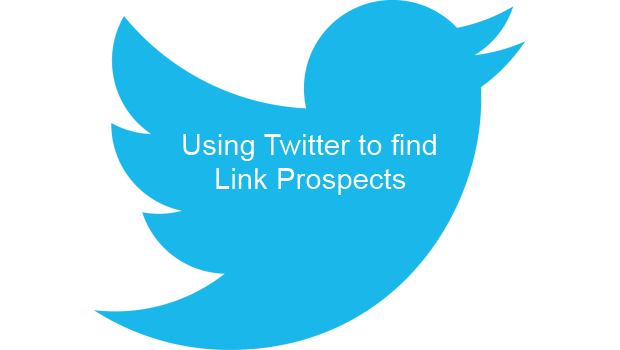 Have you had any luck using social media to find link prospects? Share your experiences in the comments section!